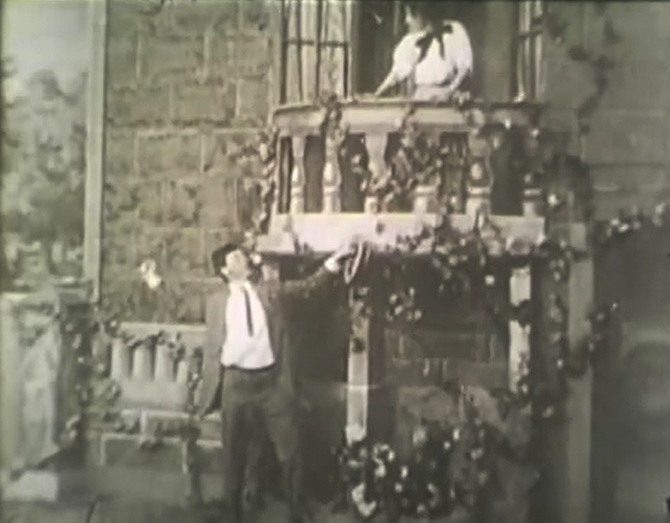 "A Calamitous Elopement" is a short comedy directed by D.W. Griffith. The film is included in our program to illustrate the work of two of our stars: actor Robert Harron and cinematographer Billy Bitzer. Linda Arvidson and Harry Solter enjoy a few moments together in "A Calamitous Elopement" (1908), directed by D. W. Griffith. 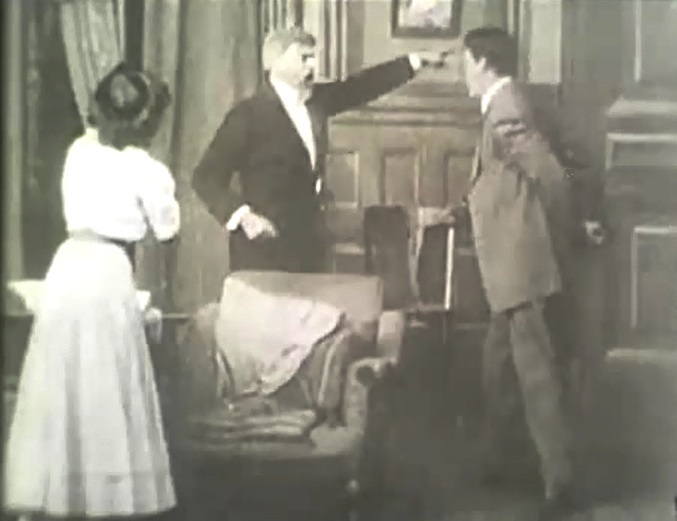 The father of the prospective bride (Charles Inslee) throws out her man in "A Calamitous Elopement" (1908), directed by D. W. Griffith. Linda Arvidson and Harry Solter discuss plan B in "A Calamitous Elopement" (1908), directed by D. W. Griffith. 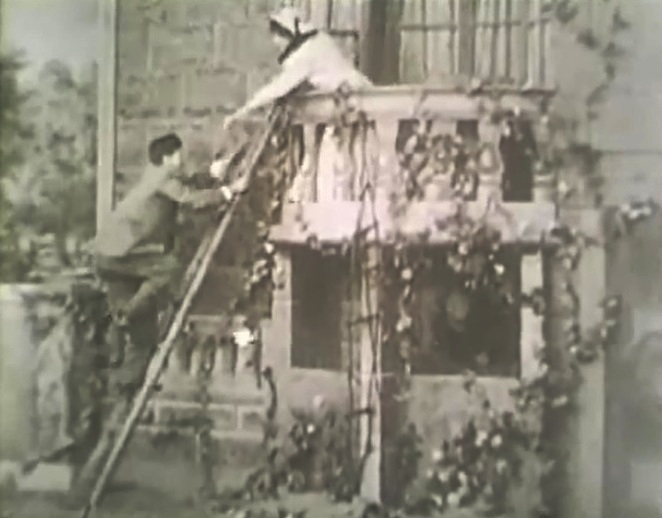 Linda Arvidson and Harry Solter put plan B in action in "A Calamitous Elopement" (1908), directed by D. W. Griffith. 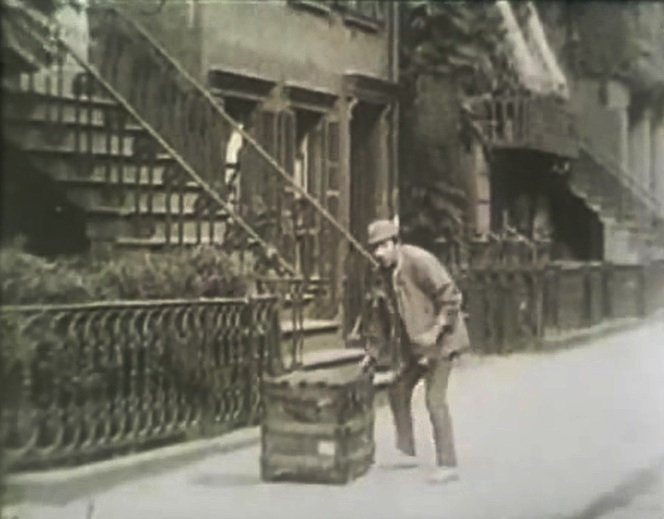 A thief (George Gebhardt) uses the commotion for his own benefit in "A Calamitous Elopement" (1908), directed by D. W. Griffith. 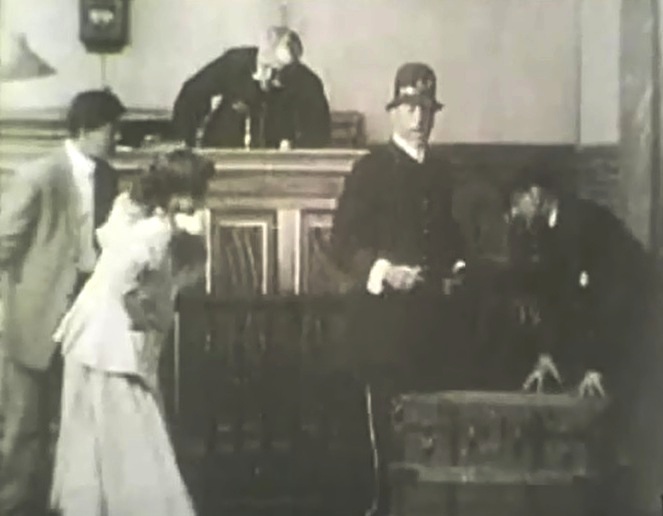 D. W. Griffith (the policeman) is in a rare acting scene with his wife Linda Arvidson in "A Calamitous Elopement" (1908), directed by D. W. Griffith. 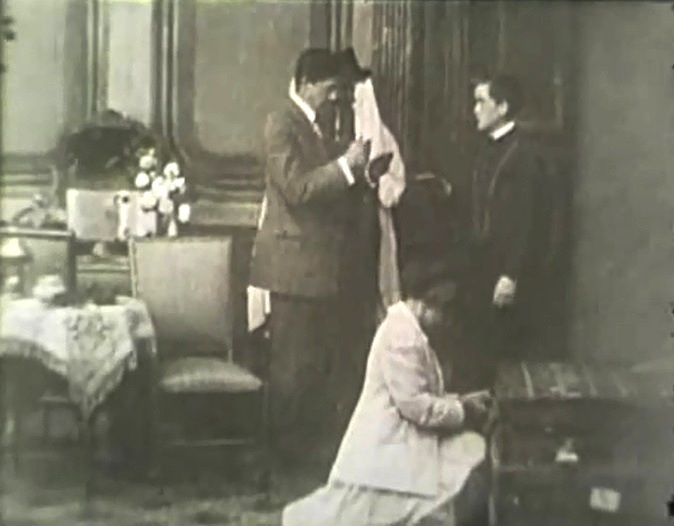 Linda Arvidson works on the trunk lock as Harry Solter gets a note from bellboy Robert Harron in "A Calamitous Elopement" (1908), directed by D. W. Griffith. 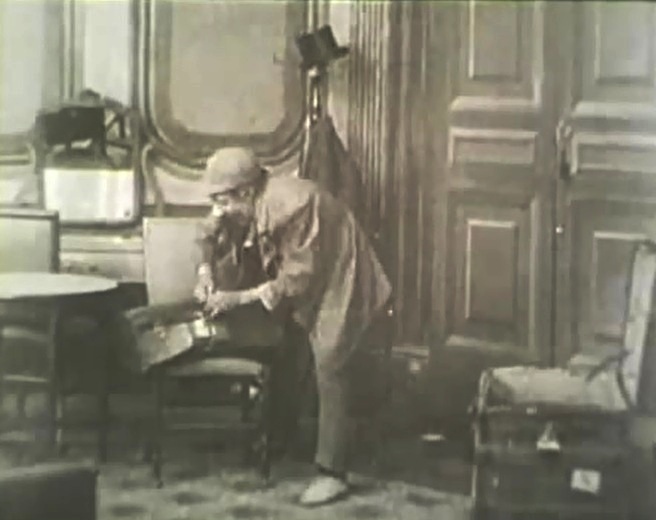 George Gebhardt is left alone to take care of business in "A Calamitous Elopement" (1908), directed by D. W. Griffith.